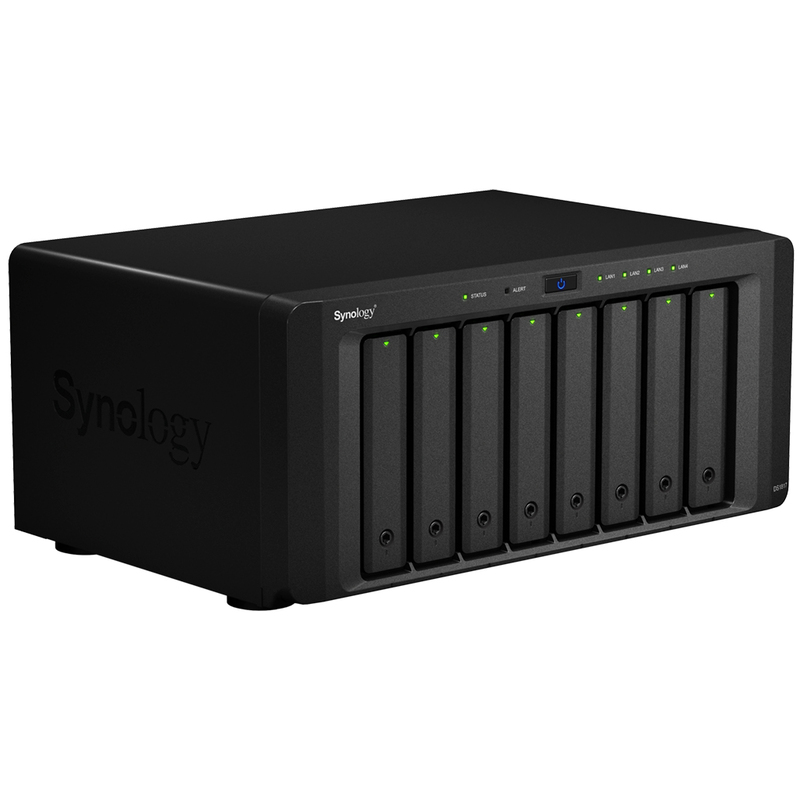 Synology DiskStation DS1817 features two built-in 10GBASE-T ports and upgradable RAM module, and is powered by quad-core processor with hardware encryption engine and expandable scalability of up to 18 drives. DS1817 is the ideal solution for centralizing data backups, protecting critical assets, and sharing files across different platforms. Synology DS1817 is backed by Synology’s 3-year limited warranty. 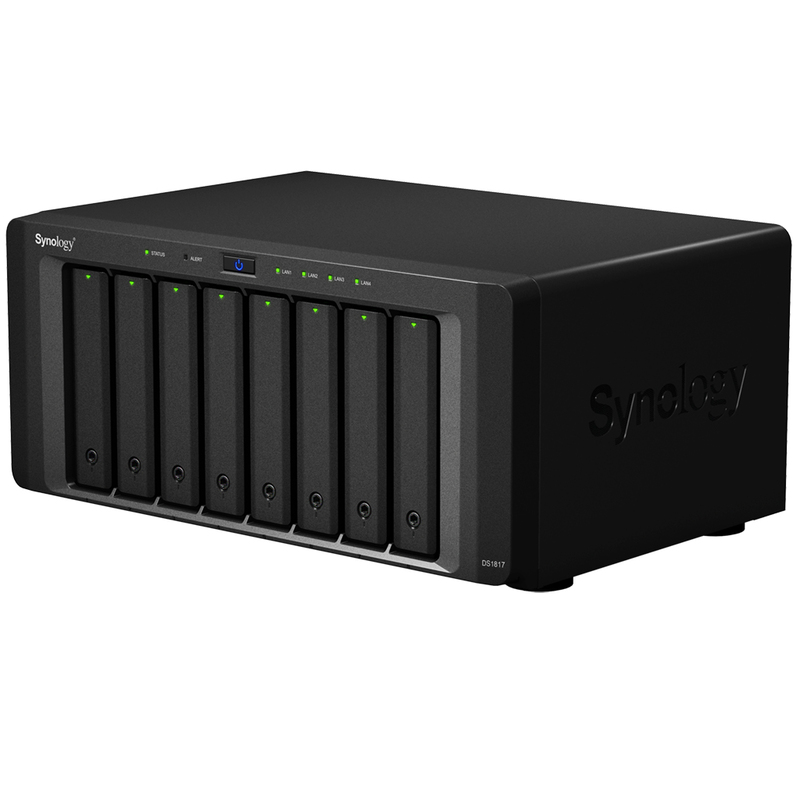 Synology DS1817 is a 8-bay network attached storage solution with great performance and scalability. 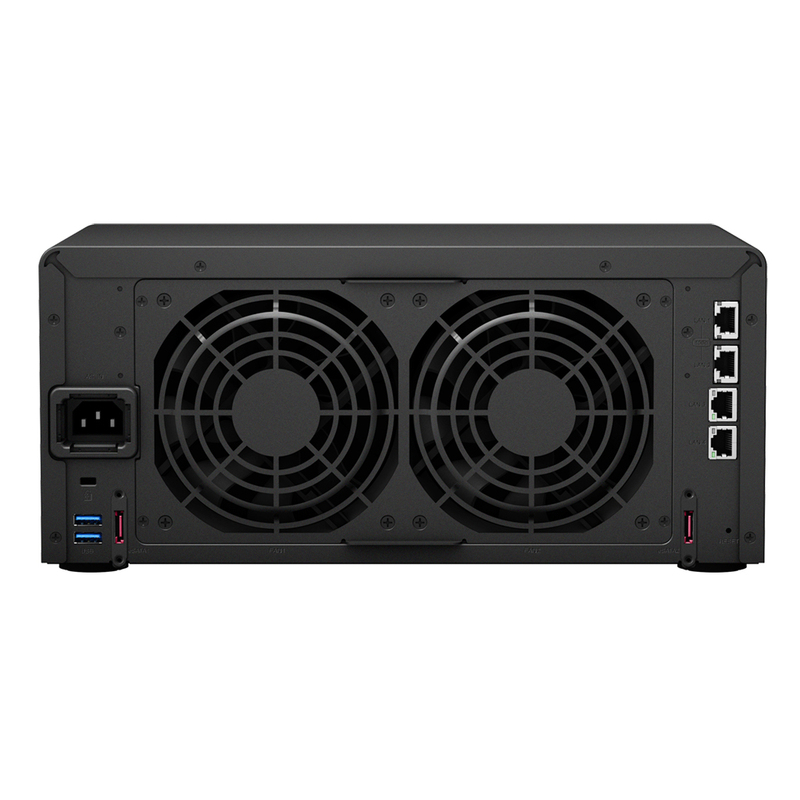 DS1817 is equipped with a quad-core 1.7 GHz processor, pre-installed 4GB RAM, and two built-in 10GBASE-T LAN ports, delivering sequential throughput at over 1,577 MB/s reading and 739 MB/s writing under a RAID 5 configuration with 10GBASE-T ports link-aggregated. The built-in 10GBASE-T and 1GBASE-T ports support failover and Link Aggregation. DS1817 is a reliable and cost-effective storage solution suitable for home and business. Internet file access is simplified by the encrypted FTP server and Synology File Station, which is a web-based file explorer. HTTPS, firewall, and IP auto-block support ensure file sharing over the Internet is protected with a high level of security. The 10GBASE-T and 1GBASE-T LAN ports of DS1817 support failover and Link Aggregation, and the LAN ports are resilient against unexpected network or cable failure. Hot swappable drives minimize system downtime by allowing simplified and rapid drive replacement. Uninterrupted availability is a critical goal for all businesses. Synology High Availability (SHA) ensures seamless transition between clustered servers in the event of unexpected disasters and ensures that your services remain online.